With the launch of my debut story collection, Train Shots, this spring, I’ve been reflecting upon the many mentors, workshops, and exchanges that have shaped me into the writer I am today – which resources I find myself revisiting, and why. Without staring too long at my bookshelves, these are the texts on craft and the artist’s life by wise masters of both sexes that have made the greatest impression. I predict I’ll return to them for years to come. Aristotle’s Poetics: The great thinker’s nuts-and-bolts breakdown of dramatic basics, comedy and tragedy, lays the foundation for the plethora of narrative forms that arise through the centuries – the novel, short story, screenplay, graphic novel, and more. I urge my students to seek him out, with the promise that he’s accessible and best of all, a quick read – my copy contains just under fifty pages. Hero with a Thousand Faces by Joseph Campbell: A confirmation of the universality of the “hero’s journey” coupled with the revelatory evidence and analysis of why, make this a mind-blowing, unforgettable read. Campbell gathers stories from myths and religions the world over, splits them open and lays them bare, so that while you’re wading through you know that this is a book you’ll want to return to again for its liberating power and insight. Have patience with the many examples; Campbell’s study, albeit dense, makes its revelations all the more worthwhile. The Gift by Lewis Hyde: Similar to Campbell’s book in its broad spectrum of cross-cultural study and dense analysis, The Gift should be required reading for all artists. Hyde illuminates how throughout human history, art has been part of the “gift economy” and spends time on a topic many lofty “writing life” books, as well as those narrowly-focused on craft, sorely neglect – just why it’s so difficult for artists to earn a living by making art. You’ll finish this book emboldened and reaffirmed, able to see your vocation and the challenges that come along with it much more clearly. Negotiating with the Dead by Margaret Atwood: With her trademark sharp humor and lively wit, Atwood raises salient, scary questions and tackles them unflinchingly. A fan of Hyde’s book, she refers to and expounds upon some of his points from behind a writerly lens; refreshingly, she also addresses the pragmatic economic realities the artist faces. “Negotiating with the Dead” refers to the writer’s journey into the subconscious as akin to the shaman’s trip into the Underworld – one has to spend time in the dark, because that’s where the story is, in order to bring wisdom to light for the rest of the “tribe.” The title essay on the spiritual task writers undertake gives me shivers in my belly whenever I read it – a stark reminder that beyond talent and discipline lies the question of character—the writer’s—and if he or she has the courage to remain submerged for long stretches, in the dark, facing all of our demons. The Art of Fiction by John Gardner: A longtime teacher of writing, Gardner’s language may come across as dated but his principles, examples, and exercises hold up resoundingly. First introduced to this text as an undergrad, I don’t think I grasped the full concept of Gardner’s “fictional dream” until years later; in the last semester of my MFA program I went back to him, this time gleaning wisdom anew. Ever since, I’ve found myself combing through his extensive list of exercises in the back of the book, and something about his casual yet pointed tone makes me feel like I could take on any of them—especially those I’d never before considered. Letters to a Young Poet by Rainier Maria Rilke: For years I’d heard about this slender volume of letters, and picking it up, one is tempted to ask, what’s the big deal? In short, Rilke’s advice applies to any artist and his words are ones you’ll hunt down in the middle of the night, in despair over a career rejection or in doubt over a project in medias res. For a time Rilke served as secretary to the sculptor Rodin, and a keen reader can tell that these are spiritual insights gleaned from his observations of working with the great master. Writing Alone and with Others by Pat Schneider: I was first introduced to this soulful and practical book at a training session for Amherst Artists and Writers, and have returned to it again and again. While the latter half of the book is geared to those who want to lead writing workshops, you won’t find better prompts anywhere else to jump start your own writing, or your students’ or peers’. Heartfelt and reminiscent of Julia Cameron’s The Artist’s Way, Schneider wins out for her welcoming attitude and wisdom, clear how-to’s for teachers, and range of cross-genre exercises to suit any setting or mood. Lectures on Literature by Vladmir Nabokov: Collected from his series of novel lectures given at Cornell, these close-studies are indispensable for understanding plot, sub-plotting, theme, and more via analysis of novels as diverse as Mansfield Park, Dr. Jekyll and Mr. Hyde, and Swann’s Way. You can absorb his points without having read the novels themselves, although of course having familiarity with some if not all will greatly hammer home his illuminations. I’ll probably revisit this one before sitting down to write my next volume, and strongly urge you to do the same. Mystery and Manners by Flannery O’Connor: These essays on regional writing, teaching literature, and the writer and religion compiled from O’Connor’s unpublished papers are oft-cited among literary writers, and with good reason. Like Atwood, O’Connor delivers her take with sharp humor and straight talk, and what she has to say will stick to your bones if not irk you at times. Yet I find myself driven back to this book, if only to hear O’Connor in her own voice as she boils down storytelling to the heart of the matter. Rhythm in the Novel by E. K. Brown: This hard-to-find, out-of-print paperback ranks up there with Nabokov’s book if you can find it. Published in 1950, Brown’s essays shine a narrow beam on what sets the novel apart from other forms—its unique treatment of time (for a novel cannot be read in one sitting), how it must employ the unifying devices necessary to create resonance. He discusses how symbols arise and change as a novel progresses, the culmination of which is his essay on A Passage to India, which breaks down how all of these devices are at play in Forster’s masterpiece. Attack of the Copula Spiders by Douglas Glover: I was fortunate to study one-on-one with Glover at Vermont College back in 2007, and he pointed me to several of the books on this list (Nabokov, Brown, plus a few others), for which I’m forever grateful. I know I wouldn’t have managed to draft my first novel successfully without their expertise on form and technique. Glover’s own essays on writing rate just as highly—namely “How to Write a Novel” and “How to Write a Short Story.” Lucky for you, these plus a handful of others are gathered in Attack of the Copula Spiders (if you’re wondering what’s that? even more reason to pick up the book). Glover’s dissections of literature are as practically illuminating as they are refreshingly—and often simply—brilliant. Other essays include “The Mind of Alice Munro” (yes, please) and “The Drama of Grammar.” Especially noteworthy is his mind-bending final essay titled “Don Quixote, Rosemary’s Baby, Alien, and The French Lieutenant’s Woman: Meditations on the Ideology of Closure and the Comforting Lie.” Glover’s is the best “craft book” to come along in years—and, I’ve just realized, has managed to make itself #11 on this Top Ten List. A worthy bonus indeed. 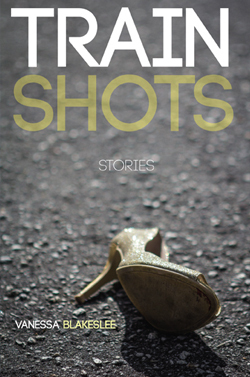 Vanessa Blakeslee’s debut short story collection, Train Shots, was released in March, 2014 by Burrow Press. Her writing has appeared in The Southern Review, Green Mountains Review, The Paris Review Daily,The Globe and Mail, and Kenyon Review Online, among many others. 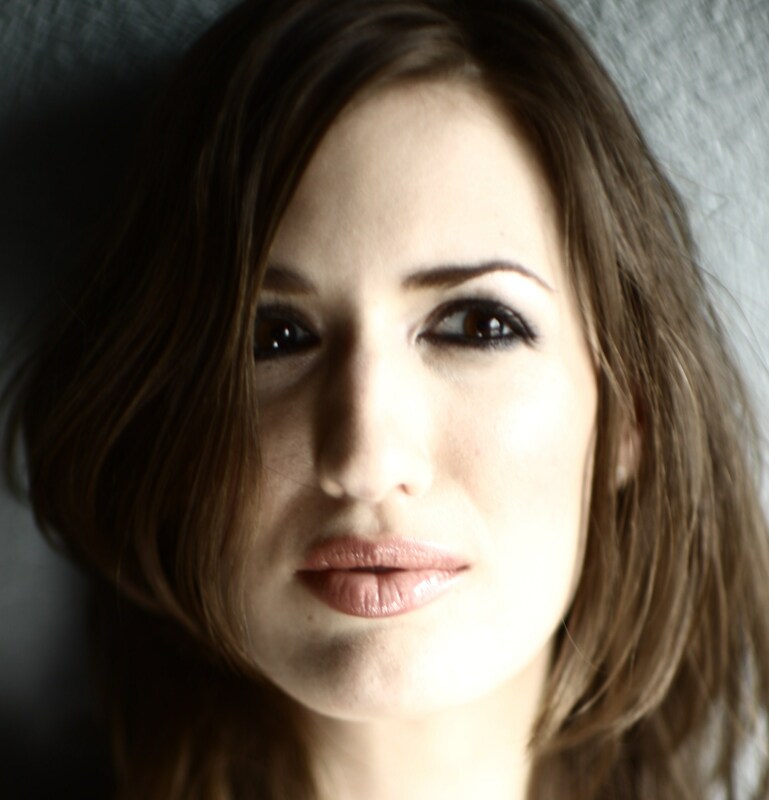 Winner of the inaugural Bosque Fiction Prize, she has also been awarded grants and residencies from Yaddo, the Virginia Center for the Creative Arts, The Banff Centre, Ledig House, the Ragdale Foundation, and in 2013 received the Individual Artist Fellowship in Literature from the Florida Division of Cultural Affairs. For more information, visit www.vanessablakeslee.com or http://burrowpress.com/train-shots/.